It’s been an annual tradition (for 3 years running) that I have not written a “Best Comics Of 20XX” list. I think that decision continues to be a good one for me. I generally dislike the idea that any one book can be the consensus pick of any given year when there is so much art being made. I haven’t read many of the works that folks are describing as “best,” and likely won’t until mid-2017. Some of it I will surely never read. There were also many books I wanted to read this year but didn’t get my hands on. I can’t imagine being able to confidently say “These books are the best books published in 2016,” especially in a medium as wide and deep as comics. “Best” implies a finality even if the writer is only discussing the books they read, not the entire field. Instead I’m writing about books that challenged me as a reader in 2016. I think this year, above the last two, has a lot more variety in what the definition of “challenge” means. Unlike a traditional end of the year list, the only qualifier to get on this list was that I had to read the book in 2016. Since this is a list of comics that challenged me as a reader, it’s intensely personal. But I suspect that you can’t make a best of list without it adhering to your own tastes. I think that personal opinion has proven itself to be true again and again in 2016. Carpet Sweeper Tales demanded a kind of action from me as a reader that most books don’t think about asking. Reading is an active thing – but a quiet thing, most of the time. So when the first thing I read in Carpet Sweeper Tales is the command to read everything out loud, it made me think about the ways we interact with art and art interacts with us. How we communicate through art. 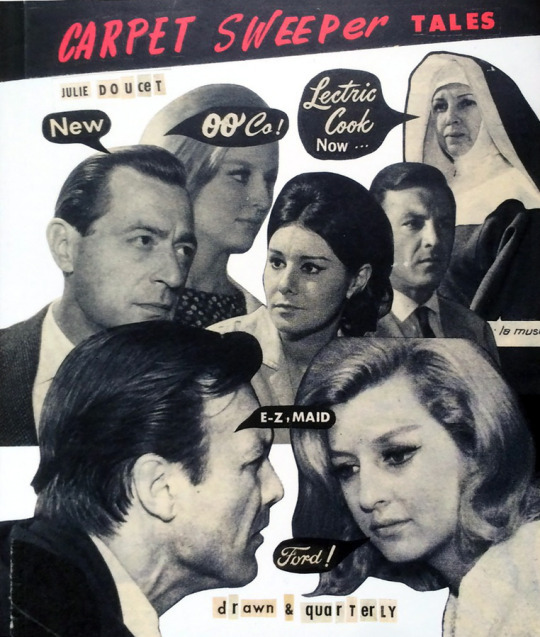 I also loved Carpet Sweeper Tales for its unique perspective on what comics can be – I love the use of collage in this piece. I’d like to see more collage in comics work. The metacognition of Carpet Sweeper Tales, Doucet’s brilliant inversion and subversion of the her characters and the source material made this a fascinating read in 2016. End of a Fence came out at the end of 2015 and unfairly missed a lot the best-of season. 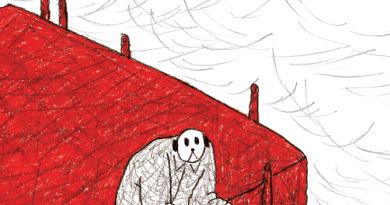 I wrote a review of End of a Fence in April this year, so I won’t spend too much time rereviewing it here, but Muradov is as brilliant as ever in this first kuš! mono. The book’s figurative heaviness, the searing heat of the thing, as well as Muradov’s reference-laden prose, made End of a Fence a comic to read and reread and reread. I’d be happy if I understood three quarters of all of it, but I doubt I’m there yet. Urkowtiz’s comics continue to inspire me. She’s Done It All! 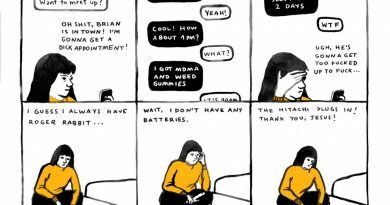 is a melancholy and wickedly funny comic. In Urkowitz’s previous work I have seen a spiritual searching, and this feels like an amplification of that searching. What is God? and How and Why and For What Reason? These comics scratch at that human desire for understanding and the need for awe and closeness, and compelled me to reexamine myself in 2016. 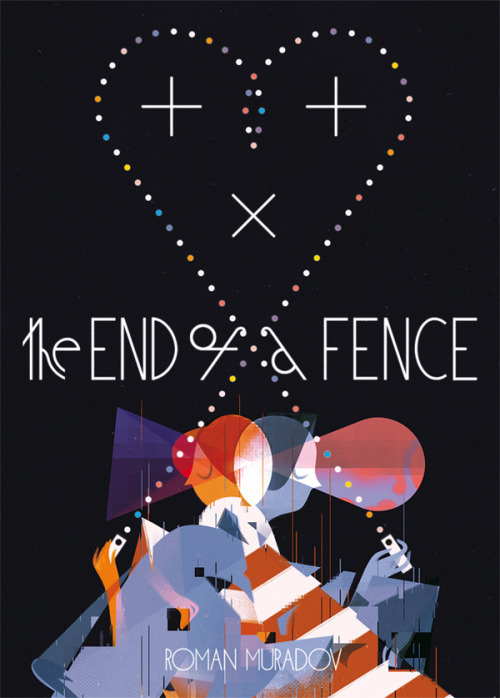 This is an understated book, a combination of comics and the poetic short story that inspired them. 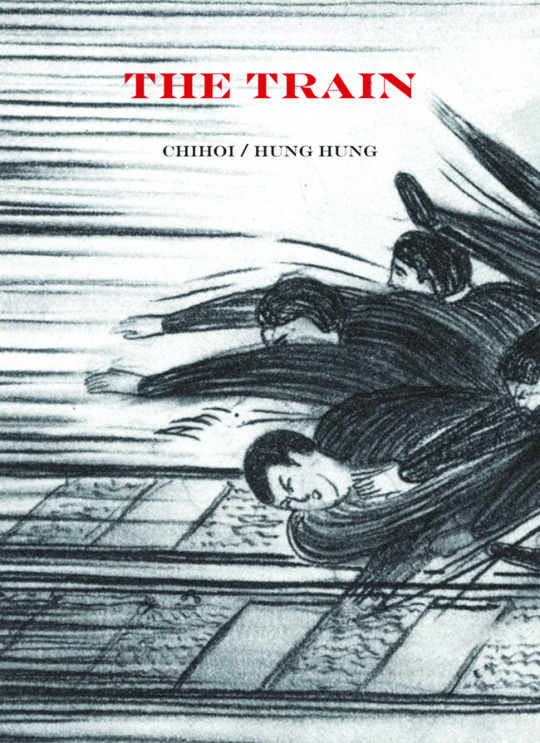 I’m still writing my review, but Chihoi’s pencil work in this book goes beyond expectation. The dream logic of it, the way characters crash like waves around one another. 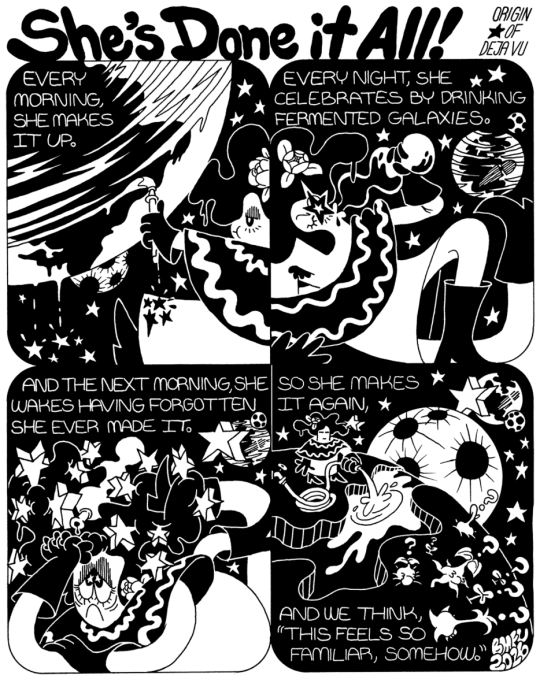 I found the comic hard to unravel but its denseness was part of its appeal. Bernadou’s ambitious pantomime comics were a surprise delight late in the year. The story took on a fable-like quality that avoided easy definition. 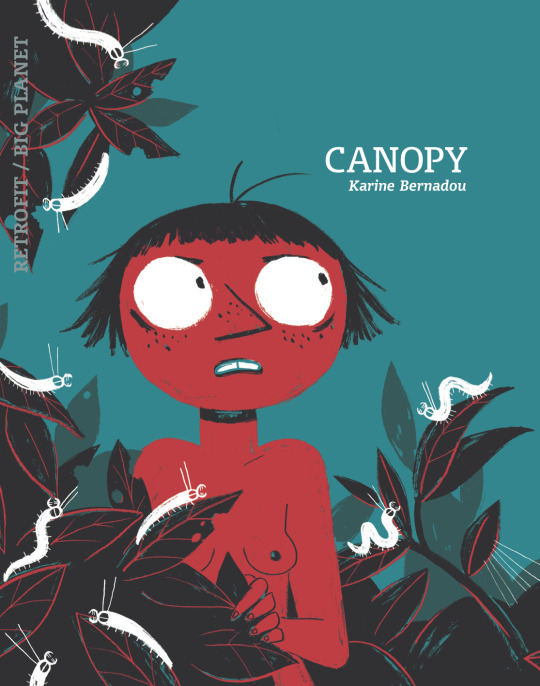 Focused on the growth of a young woman, the trials of womanhood, and a fraught relationship with her father, Bernadou’s writing gave this comic a darkness that was at times heartbreaking and at other times overwhelmingly frustrating. This was a great introduction to Bernadou’s work and a fantastic book to cap the year with. There are 30 comics in this year’s list. Each entry will contain 5 books, and we’ll wrap up with the complete list. See you soon!